Stripe is awesome. It’s simply the best payment processors available. It has great features like PCI compliance, a fast onboarding experience and beautiful design. But Stripe API is complicated for non-developers to understand. And integrating Stripe API in HTML is impossible if you don’t know a backend language like PHP or Python. But if you don’t have the knowledge, or you don’t have access to the website backend code, it just cannot be done. Until now. In this tutorial we will use PayForm, the best alternative to a Stripe API in HTML available. As we said earlier, Stripe is complicated to integrate if you are not a developer. As a Stripe API in HTML does not exist, in order to incorporate a payment form in HTML we will need to use an external service that provides all the server processing that Stripe needs to work. What’s great about PayForm, is that it takes care of this without requiring backend code (that means, zero PHP, only HTML). PayForm is a solution that allows anyone to create a simple checkout form connected to a Stripe account. These forms can be embedded using one line of HTML in any website, just as placing an image or any other element. First, visit PayForm and then click on start. 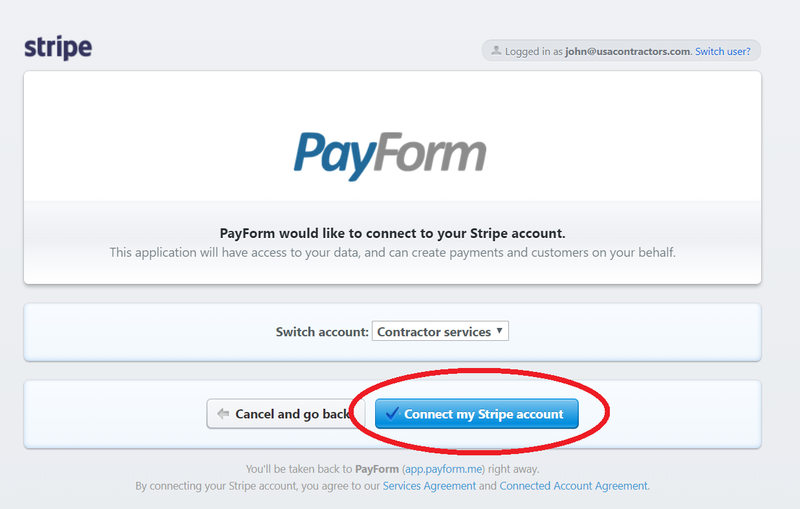 You will be prompted to connect to your existing Stripe account (or create a new account in case you don’t have one). If you don’t have an account, Stripe asks some basic information about your business. Have your business information in hand. After that, create your first checkout form. It’s really easy with the PayForm builder as you can create customized forms in seconds without any coding or design experience. Now that your form is ready, you’re ready to embed it. 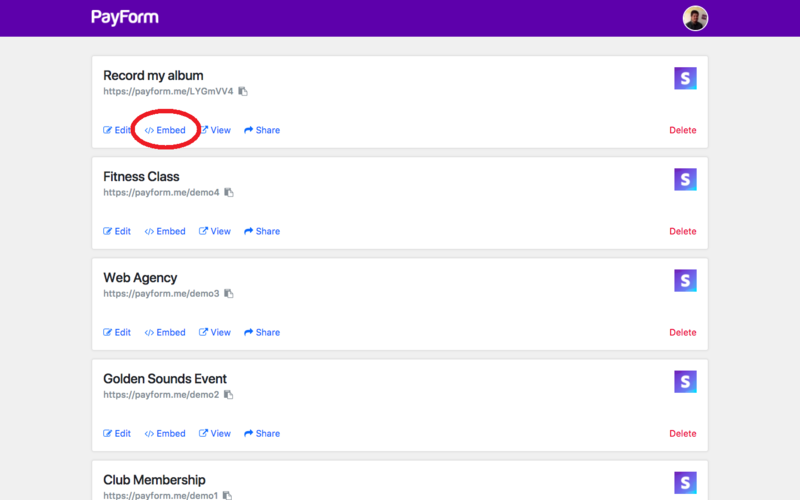 Click the embed button in your form and paste the embed code in your existing HTML page. You’re ready to start accepting Stripe payments in your HTML page using PayForm. 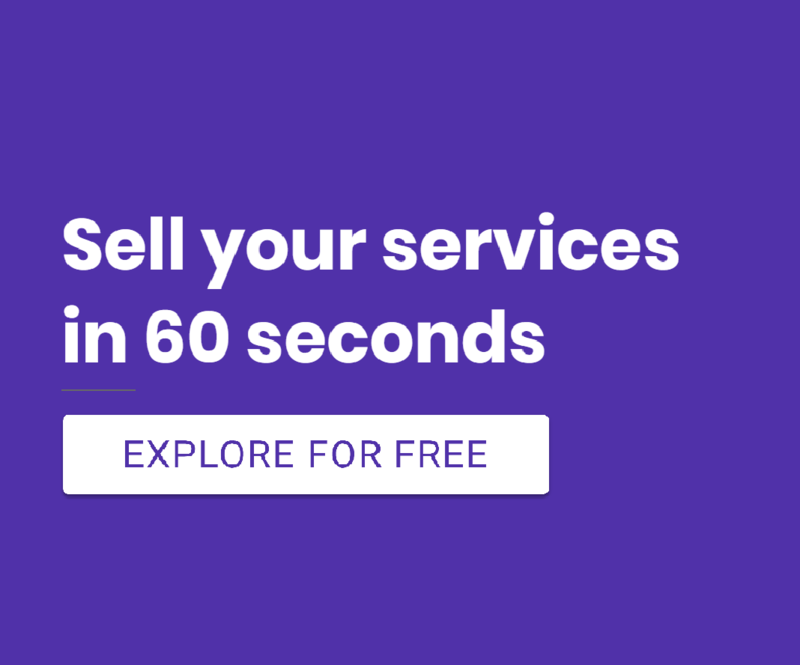 It has never been this easy to sell your products or services online.